Jeri Ellsworth and Trish H. move a pinball machine. 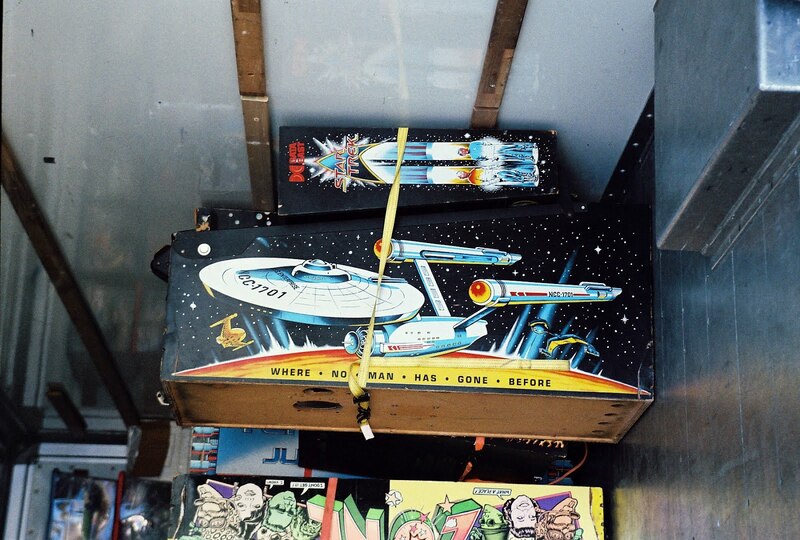 Commodore is behind the machines. Now this is the best! 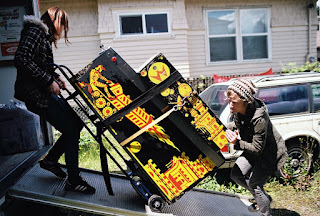 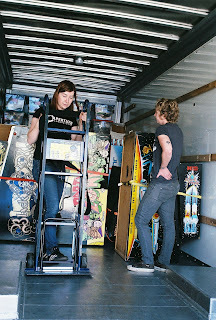 Sunday, June 24, Jeri Ellsworth, with the help of Trish and a little bit of help from me, moved many pinball machines and boxes of Commodore items into a 26-foot long U-Haul.